Alta Lake Lumber Co. Ltd.
Boffo Homes (Chaffey Avenue) Inc.
Brad Johnson - "A Creative Guy"
Christo Kuun Design & Construction Ltd.
Coastal Mountain Custom Homes Ltd.
Craig Ross General Contracting Ltd.
Cristina Oberti Interior Design Inc.
Domae Enterprises Summit Residences Inc.
East Kootenay Milestone Homes Inc.
Ecosol Design & Construction Ltd.
Falcon Homes & Design Ltd.
Fifth Avenue Real Estate Marketing Ltd.
G. W. Blanes Construction Ltd.
George Schluessel Real Estate Investment Ltd.
Hans Vander May Construction Ltd.
Homes by Valentino, C. Val Ltd.
Homescape Building & Design Inc.
HR Pacific Construction Management Ltd.
Island West Coast Homes Ltd.
K. Chen Construction Management Inc.
K.A.O. Construction Design Studio Inc.
Kennedy Homes and Glen Meadows Developments Ltd.
Kingsley K. Lo Architect Inc.
L & T Engineering & Project Management Consultants Inc.
Lightway Lighting Fixtures & Accessories Ltd.
Linda Burger & Associates, Inc.
Lyons Garden Centre and Landscaping Ltd.
M.A.W. Heating and Air Conditioning Ltd.
McBrine & Stade Developments Ltd.
Munster & Sons Developments Ltd.
Oberto Oberti Architecture & Urban Design Inc.
Pacific Rim Int'l Prop. 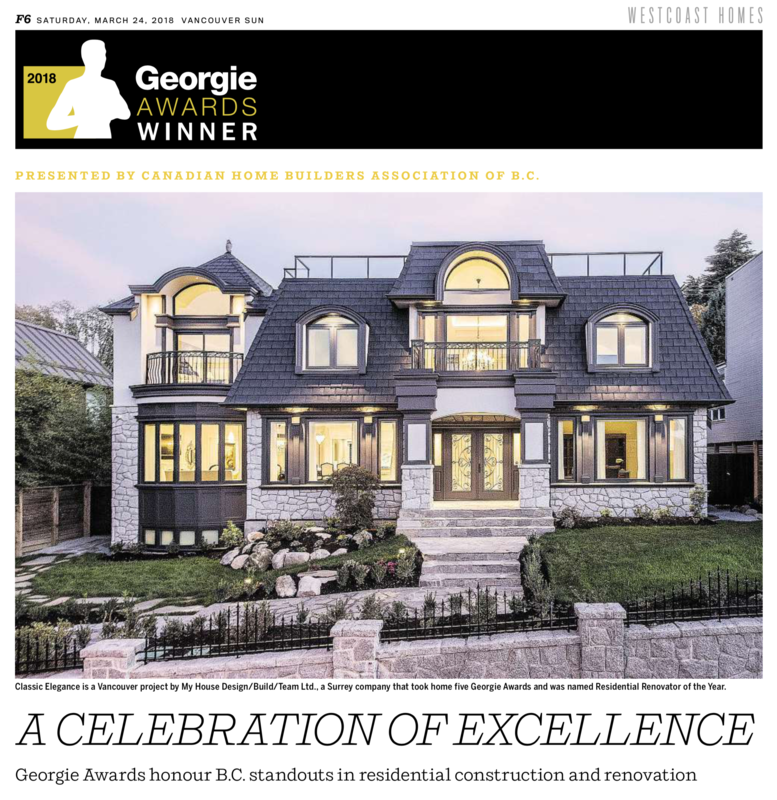 (CDN) Ltd. & South St. Financial Corp.
Procura Real Estate Services Ltd.
Pulse Group Media & Communications Ltd.
Rempel Cobblefield Lane Development Ltd.
Ruffell & Brown Interiors Ltd.
Sasen Design & Development Inc.
STATION HILL PARK DEVELOPMENT CORP.
Tangram Developments (Pender Harbour) Ltd. The Interior Design Group Inc.
Warmbuilders & Construction Mgmt. Ltd.
Weber & Associate Architectural Consultant Inc.
Wedgewood Dawson Lakewood Developments Ltd.